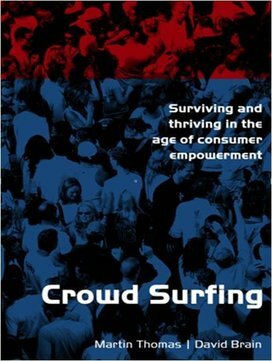 “Welcome to the world of the crowd surfer: a world in which a new generation of business and political leaders have learned how to harness the energy, ideas and enthusiasm of today’s empowered consumers. Crowd surfers have been smart enough to recognise that people all over the world – emboldened by a new spirit of enquiry and self expression, and powered by the internet – have changed the rules of the game. They realise that surrendering complete control, by giving their customer, partners and employees a greater say in the way that their organisation’s operate, is actually the most effective way to manage their destiny.